When it comes to sonic facial brushes, Clarisonic is still the name to beat. Sure, there are a few others that can arguably give the brand a run for its money (e.g., Michael Todd’s Soniclear), but Clarisonic’s fame doesn’t seem to ebb out. But don’t you find their products a bit confusing? For their future products, Clarisonic needs to come up with distinct names for better recall. That said, let’s do a comparison between the Mia Prima and the Mia 1. What are their differences? Which one suits your requirements better? 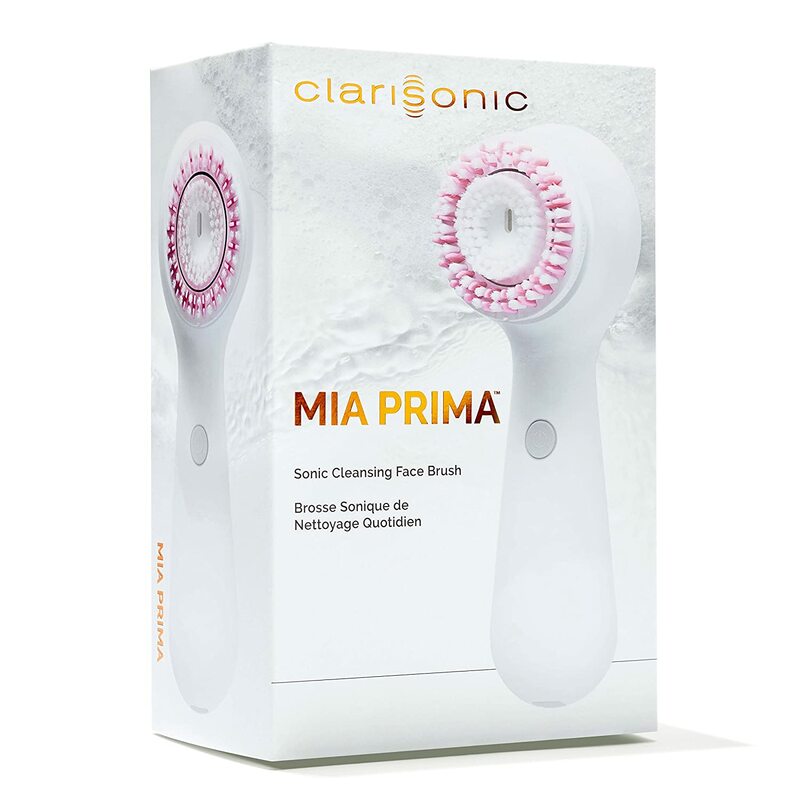 Find out in this Clarisonic Mia Prima vs Mia 1 comparison report. In this chart, we put these Clarisonic brushes next to each other, comparing the key areas that they differ (or similar) in. You’ve seen the chart above. Did you catch those differences? Very briefly, let’s talk about them in this section. Both the Mia Prima and the Mia 1 are the simplest of the Clarisonic brushes. They’re a one-mode, one-button device that provides a quick yet effective deep-cleansing process that lasts only a minute (or 60 seconds). All you have to do is to click on the button and then glide the brushhead through your face. Now, here are the differences. The Mia Prima is slimmer than the Mia 1, and to us, it looks a lot sleeker. But when it comes to color choices, Clarisonic offers the Prima only in white. We have yet to see whether or not the brand introduces other colors. In comparison, you’ll have 4 color options with the Mia 1 – lavender, electric pink, pink, and white. Another important difference is their charging system. The Mia 1 comes with a pLink charger, an inductive-type of charging system. The charger’s head magnetically attaches itself to the bottom of the Mia 1 to start the charging process. In comparison, the Mia Prima comes with a micro-USB port that allows you to charge it practically anywhere. You can even use a powerbank for this purpose. Let’s ask the big question: Which of these Clarisonic sonic brushes should you buy? Here’s our recommendation. Get the Clarisonic Mia Prima. It’s slimmer, and its micro-USB port/charging system is a big plus.